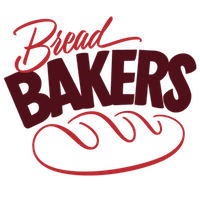 For this month the theme for Bread Bakers is Breads for family feast . I immediately decided to post this rose shaped buns . As I made it for a family get together of Akshara’s birthday party. I made these a day in advance before the party. Everyone liked these cute roses along with the homemade jam. Looking at these roses may seems to be difficult to make , but when you see the video which I have attached , it will be a easy task to be accomplished. It will be a perfect for party bread. Mix in a spoon of sugar and yeast in warm water and let it proof. In a bowl , add the flour , salt , sugar and baking powder ( if using ) and combine well. To this flour mixture , add the food colour and mix well. Make a well in the center and add in the proofed yeast and mix well. Mix in the rose essence and combine well.Empty the contents on to the counter top. Add in the butter and Knead for ten minutes . Place the dough in a oiled bowl and cover with cling wrap. Let it double in volume. Punch down the doubled dough and make into large dough balls. Roll each ball and use a cookie cutter or a round lid and cut into small circles. I used six circles for making two roses. Place a circle away from you and place the remaining five circles one after other towards you. Gently roll gently from close to you towards away. Cut in the center , two rose buds we get. Repeat the same with the remaining dough . I placed each roses in the muffin cups or you can use cupcake liner to make the roses retain the shape. and let it rise for another 20 minutes. Brush the milk on each roses and sprinkle sugar crystals on top. Bake for 15 – 20 minutes at 200*C oven on convection mode. Rose shaped Buns are ready to be served. We had it with homemade jam or it can be served as it is. Food colour can be replaced with natural colour from beetroot , purple yam etc. 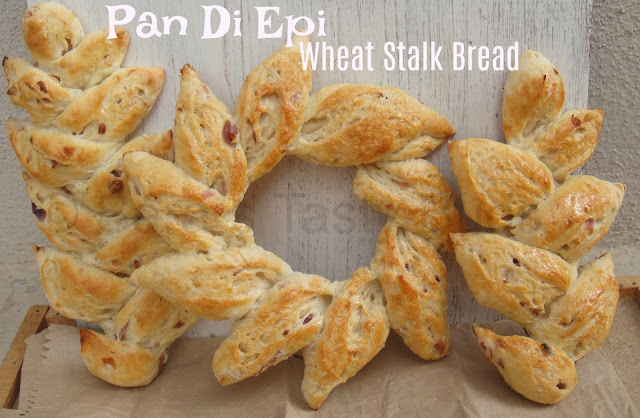 These breads stay well for two days in room temperature. These can be steamed instead of baking for 15 minutes – Mantou ( chinese steamed buns ). Those look so festive and cool! How pretty! I think these rolls would be very nice for a celebration. The care you took to shape these like roses is very impressive. Those are adorable!! They held their shape perfectly! I bet Akshara loved them! How pretty are these, love that they are rose shaped, I would have never thought to do that, very creative! Such pretty buns! Very decorative and attractive! Wow, these are gorgeous! 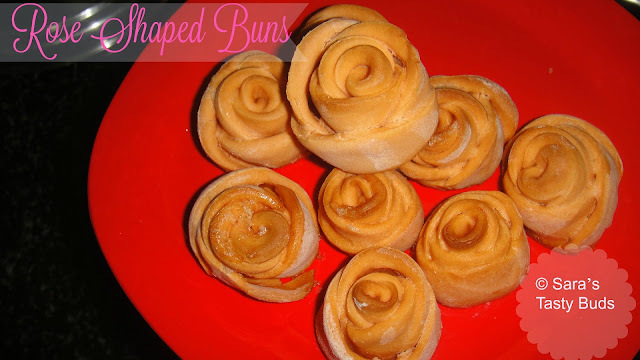 I've seen so many "apple roses" recently, it's nice to see a beautiful, all-bread version! Pretty bread roses for a party, very beautiful. Beautiful rose shaped buns. They look great. Gorgeous! Can't wait till I have time to make these! unique roses to decor any dinner table. Looks good.